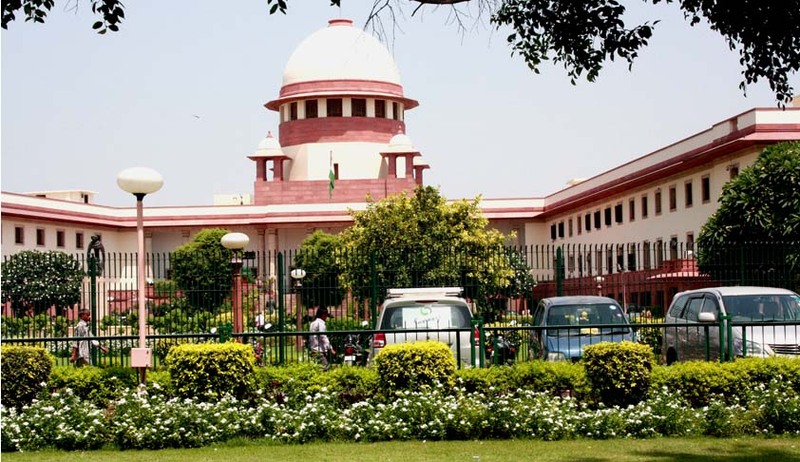 The Supreme Court on Monday rejected a special leave petition which challenged the bifurcation of Andhra Pradesh into two States to form a separate and independent state of Telangana. The apex court stated the plea against Telengana as “premature” and hence could not take a different stand which it had taken on February 7. The petitions for the February 7 judgement were filed by TDP MLA L Payyavulu Keshav and others. The petitioners had contended that the process of bifurcation of the State into Telangana and Andhra Pradesh was unconstitutional. They voiced that the proposed division was in violation of the principle of federalism. The division bench of justices H L Dattu and S A Bobde refused to accept the contention that the apex court can now indulge in the Andhra Pradesh Reorganisation Bill for the Parliament had not tabled the Bill ten days after the previous judgement. "Parliament is seized of the Bill. This is not a time for court to look into it. We understand your point that it is introduced," the bench said. The SLP filed by advocate P.V. Krishnaiah against a judgment of the Andhra Pradesh High Court rejecting his plea. Justice Dattu told the petitioner, who argued in person, that “It was still premature. We cannot go into it till the Andhra Pradesh Assembly takes a decision”. When the petitioner said that the High Court had dismissed the issue on merits, Justice Dattu said that the petitioner was at liberty to approach the appropriate forum after the AP Assembly took the decision on the Bill. In his petition, Mr. Krishnaiah said that the State of Andhra Pradesh was formed merging Andhra state and part of Hyderabad State i.e., Telangana region on November 1, 1956. The request for formation of a separate Telangana was rejected in 1969 and 1972 and the Constitution was amended in 1973 inserting Article 371(D) to provide local reservations for candidates in employment and education to avoid regional imbalances. He said that the Centre does not have the authority under Article 3 to divide a State. However, the bench said, "This point was covered on that day (February 7) in nine petitions. We cannot take different stand and different view now." On February 7, the apex court, had declined to stay the tabling of the Bill and referred to its earlier order of November 18,2013, when it had said that it was premature at that time to hear any petition relating to the against to the bifurcation of Andhra Pradesh. "We do not see any change in the stage between November 18, 2013 and today (February 7). So we decline to interfere at this stage," the bench had said. However, it mentioned that writ petitions can be considered to be heard at an appropriate stage by the court.